With above normal average temperatures in May and June, corn is on track to mature earlier than normal. A cool start to the crop season followed by two months of above normal temperatures appears to be pushing Nebraska's corn crop to an earlier than normal maturity. Consider using split herbicide treatments to provide extended control of weeds after winter wheat harvest. Timely weed control can limit soil moisture loss to weeds, prevent the deposit of more weed seeds in the soil, and reduce the spread of wheat streak mosaic disease. Tariffs and Soybeans. What Do We Know? What Can We Do? Results from the university’s 2018 Custom Rates Survey indicate rising costs for some custom machine operations and services since the survey was last conducted two years ago. State average labor rates increased 6% to $18.85/hour and average diesel costs increased from $1.68 to $2.46/gallon, which could influence custom rate changes. With the higher standard deduction and changes in child credits in the new US tax code, taxpayers may need to reconsider how much to withhold for federal taxes in each pay period. Here are information and a tool to help you assess your situation. An overview of short- and long-term production cost trends and how to use this information for planning for 2019 crops. Figure 1. Late herbicide application in a corn field following a June hail event in Dodge County in 2014. Following a hail event, crop canopy development can be severely delayed or damaged, which can lead to increased weed development and pressure. This story looks at factors to consider when selecting among mid-season weed control options in storm-damaged fields. Nebraska Extension in Phelps and Gosper counties is hosting a meeting July 17 in Holdrege to explore management options for hail-damaged crop fields. The meeting will be from 1:30 p.m. to 4:00 p.m. If you were hit hard by hail and need to cover your fields, forage cover crops can provide an opportunity for haying or grazing as well as a protective plant layer. 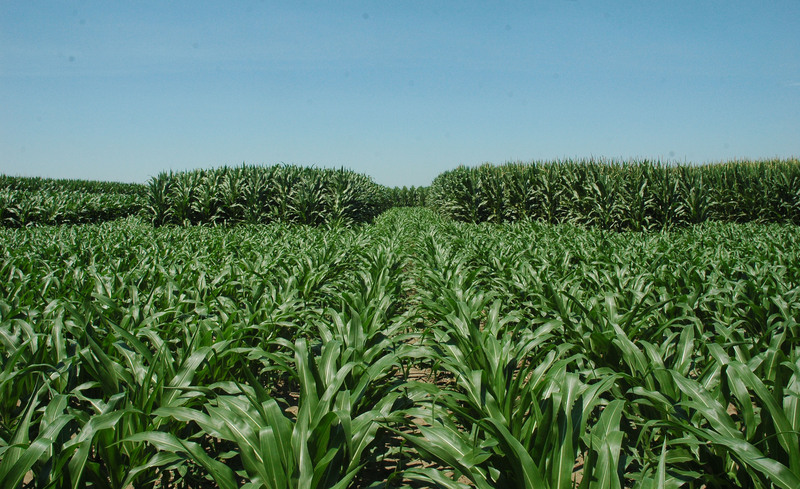 Plant selection is a key factor in successfully managing production. Nitrate toxicity can be a concern when planting cover crops for forage in hail-damaged crop fields. With proper management of haying and grazing, the risk can be reduced. Fields that were hailed, flooded, windblown, or where planting was prevented this season can benefit from the many soil services provided by cover crops. In addition a growing cover crop can help reduce erosion from water and wind and may help protect soil moisture levels. Crop reports from Extension Educators across the state and updates from plant pathology and the Plant and Pest Diagnostic Clinic. Register now for "Challenging Times...Innovating Solutions," an agricultural economic and technology conference for growers and agribusiness. It will be held July 17-18 in Kearney. John Ruberson, current professor and head of the Department of Entomology at Kansas State University, will join the University of Nebraska­–Lincoln Jan. 1, 2019, as head of the Department of Entomology.